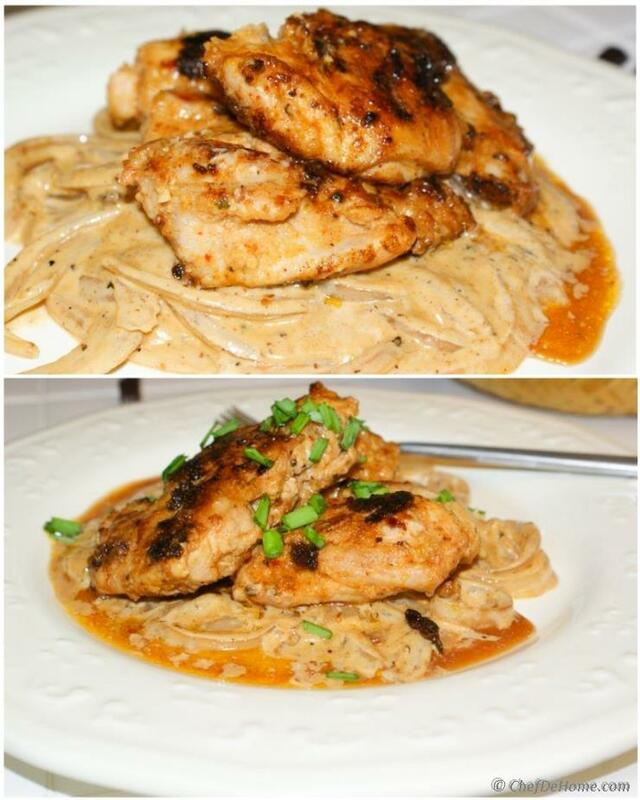 Succulent pan-seared chicken with creamy caramelized onions is most loved French inspired chicken recipe. Foundation for this recipe is caramelized onions. 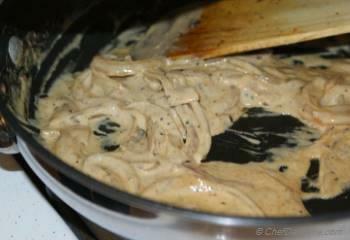 Caramelizing onions releases sweet onion flavor and addition of little heavy cream results in a silky creamy sauce. For some extra flavor, I have marinated the chicken instead of using just salt and pepper. 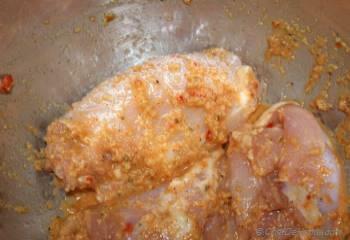 Marination will help chicken adsorb a lot of flavor and that really enhances the taste and texture. 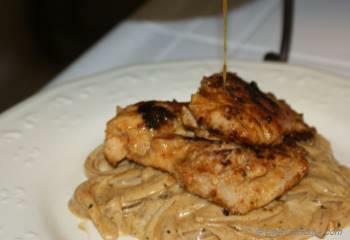 If you do not like cream sauce, you can even serve this marinated pan-seared chicken on top of a pasta marinara or pasta carbonara. 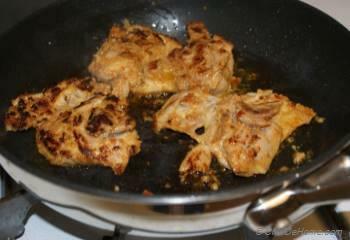 While searing chicken, make sure to reserve the juices collected at the bottom of pan. 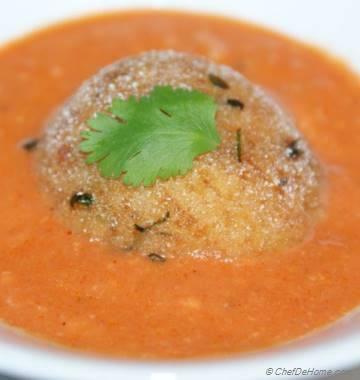 These juices drizzled over cream sauce take dish to whole new level. 1. In a bowl, mix all ingredients for marinade : 1/2 tsp salt, red chilli paste, coriander podwer, red pepper powder, ginger, garlic, grill mate seasoning and olive oil. 2. Marinate Chicken in this marinade for 10 to 30 minutes. For better flavor, marinade at least for 30 minutes. 3. Heat 2 tbsp oil in pan, when oil is hot, sear chicken until fully cooked, about 7-8 minutes each side. Make sure not to press chicken with spatula while cooking because that release all good juices and chicken will end up being very dry. If in hurry, I loosely cover chicken breasts in plastic wrap and then pound gently with back of a heavy bottom pan until about 1/4 inch thick. This tenderizes the chicken, chicken stays moist when cooked, and above all makes it super quick to cook, just 2-3 minutes per side. 4. Transfer the cooked chicken to a plate. Also reseve the juices collected in the pan. 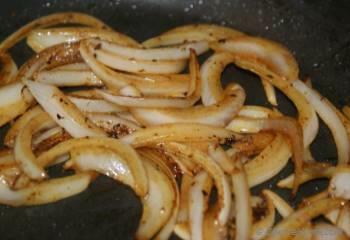 In the same pan, add sliced onion and cook until onions are slightly caramelized. You can also keep chicken warm in oven while working on the sauce. 5. 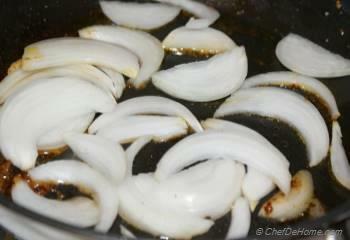 Onion will become soft when caramelized and will absorb all chicken flavor from pan. 6. Add salt, pepper,cream and then cook on low heat. 7. 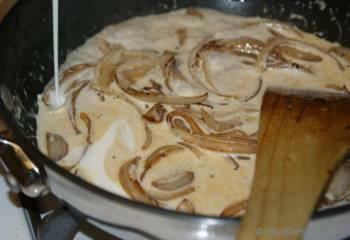 Cook on low heat until cream has thickened, reduced and has taken wonderful caramel color from onions. 8. 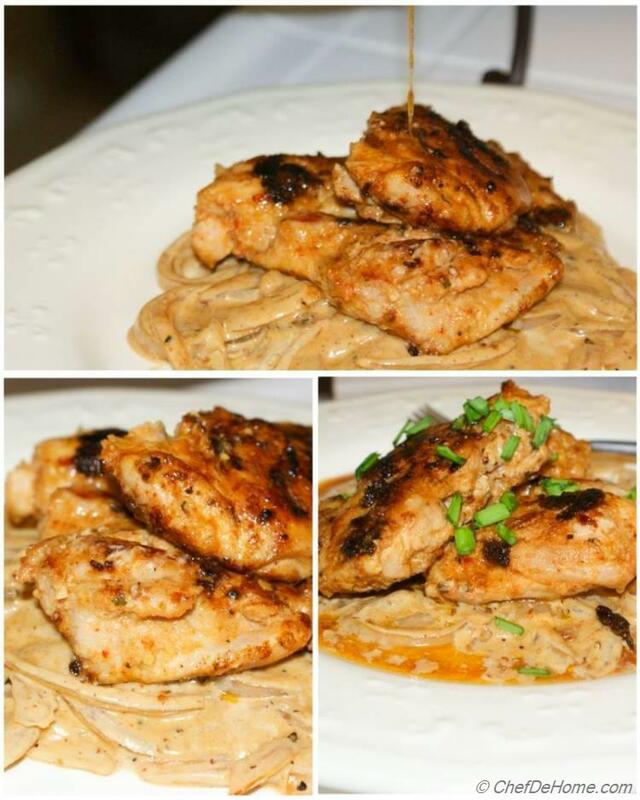 Serve chicken pieces on bed of caramelized onions cream sauce. Drizzle reserved juices (collected in the pan in which chicken was resting) on top and garnish with some fresh chives. Serve immediately. I have used Grill Mates Montreal Chicken Seasoning by McCormick. 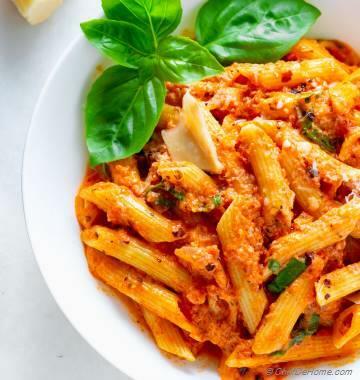 To make you own chicken seasoning, Mix 1 teaspoon each of garlic powder, onion powder, black pepper, dried parsley, dried oregano, and 1/2 teaspoon of crushed black pepper, paprika, cayenne, and salt. Keep remaining seasoning in an air-tight container. 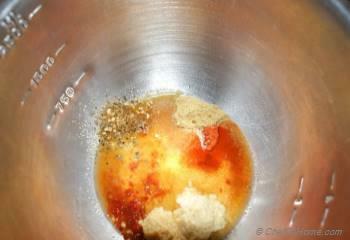 Perfect for grilling chicken, Use as dry rub or like I added to this wet chicken marinade. Reheating - If not serving immediately, cream sauce tends to get very dry. Keep both, cream sauce and chicken refrigerated until ready to serve, in separate containers. Before serving, add cream sauce to a pan, add 1/4 cup chicken stock and bring to a simmer stir well to loosen the sauce, remove from heat. Warm the chicken and serve as suggested in the directions. I just found your site & the recipes look delicious. I can't wait to try some. Hi Carol, I'm glad you loving what you see. Enjoy your stay! Thanks, I am so glad you liked this Chicken recipe. This looks amazing. My mouth is watering just looking at this! I am putting this on the menu as one of the first things I cook when I move back in with my parents this week. This sounds amazing, I love onions, and adding them to a cream sauce sounds just divine! 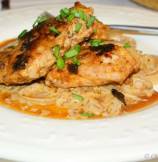 This Chicken recipe has muscled its way onto my menu for the weekend. Thanks! This looks phenomenal! I love caramelized onions. Yummy! Chicken with Caramelized onions looks totally awesome. 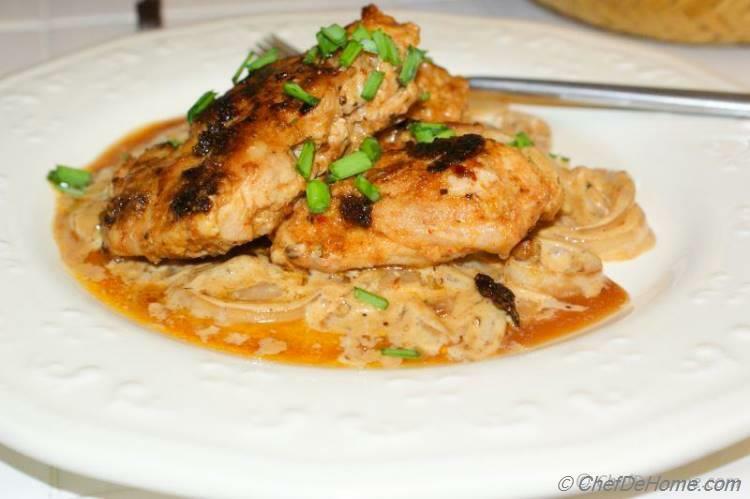 Caramelized onion with chicken, I had it at new Orleans and after seeing your site i tried and it came out very delicious, hats off, I was soo looking for this recipe. Wonderful chicken recipe. Exactly what I was looking for. Wow!! this looks yummy. Cant wait to cook. Excellent chicken recipe. In my version, I used a little bit veggie stock increase the amount of gravy. Came out excellent. 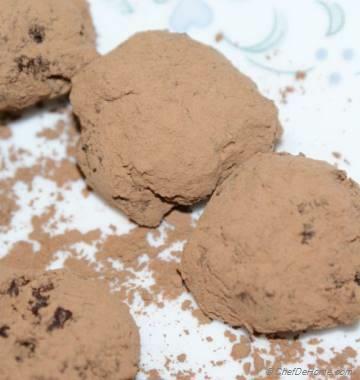 thanks for recipe.